Today, MG is more than an iconic octagonal badge. It is once again a motoring force to be reckoned with. MG, a much-loved British brand, designed and engineered in Britain, offer a range of family cars with personal and commercial lease and purchase options. To create a new website site, combining aspects of exiting style and function from 2 pre-exisitng MG sites. 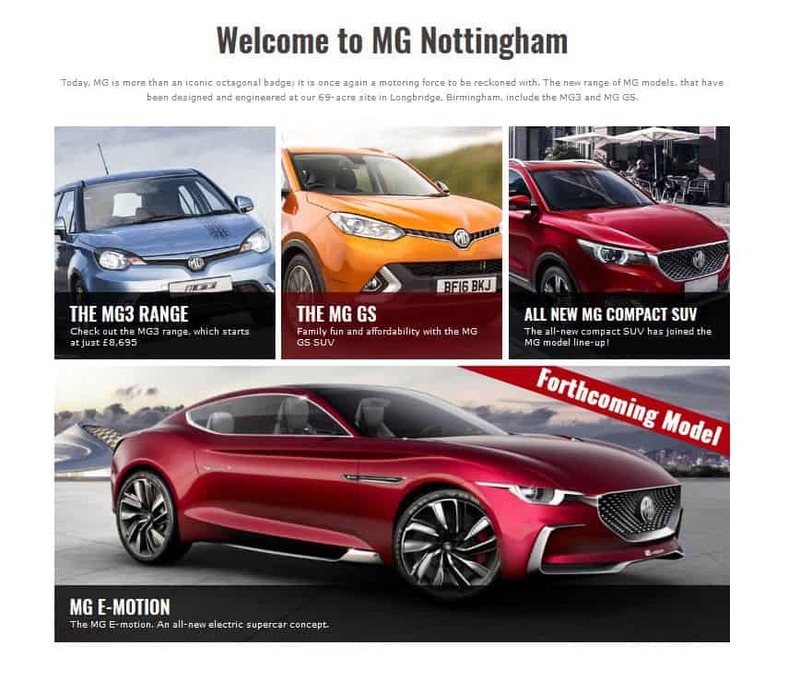 We created a brand new MG Nottingham site which had it's own unique feel, but still kept in line with the MG brand identity.